At the Wisconsin State Fair in 1938, Clifford Marshall Thompson who recently had quit a job with the Cole Brothers Circus, strolled through the crowds wearing a sign that read “Drink milk, look what it did for me.” He was stopped by a brewery executive who jokingly told Thompson that he should be hawking beer, not milk. 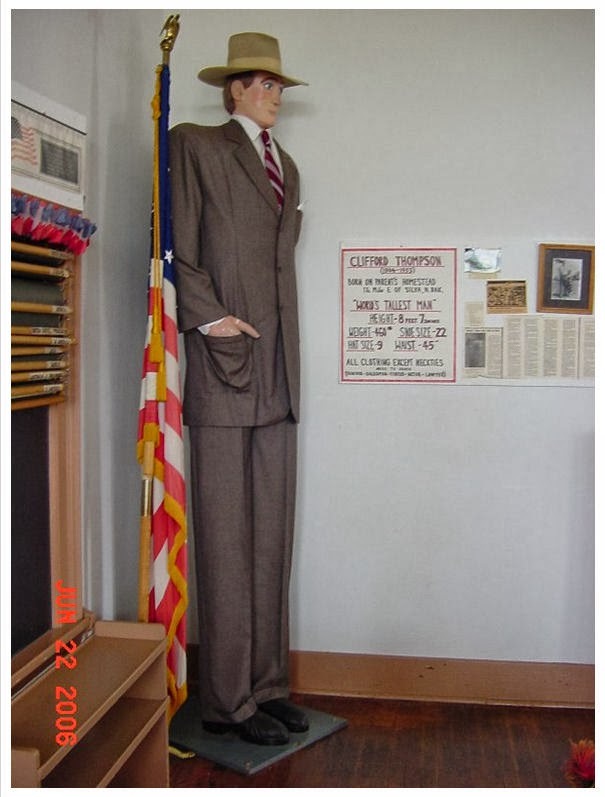 That is how the “Tallest Man in the World” came to be a star salesman for the Blatz Brewery. Thompson was born in Ramsey County, North Dakota, in 1904. None of his family were unusually tall. 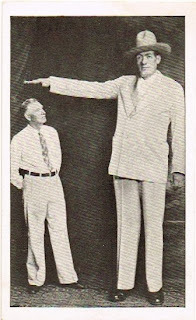 A Blatz trade card he widely handed out bore a photo of him with his father. 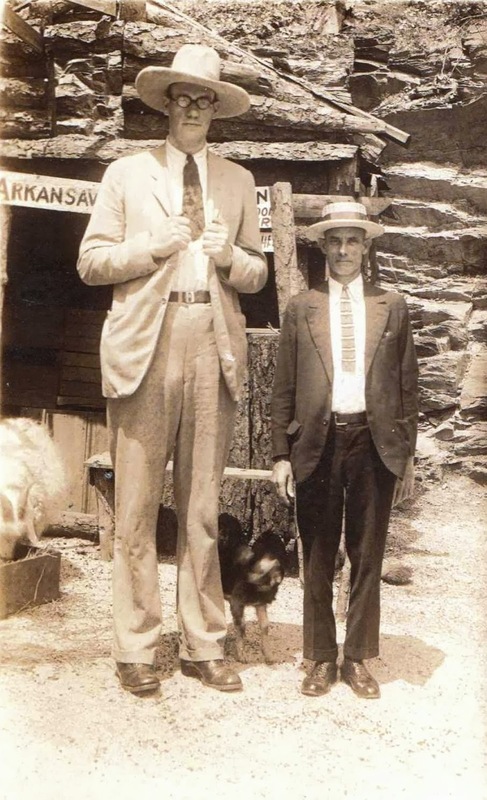 That Thompson was much taller and larger than most people became apparent while he was still young but he did not stop growing until he was 27 years old. A photograph from that era shows him standing behind “Johnny Jones Famous Midgets.” He is dressed in a suit and tie with a stove pipe hat that accentuated his height. 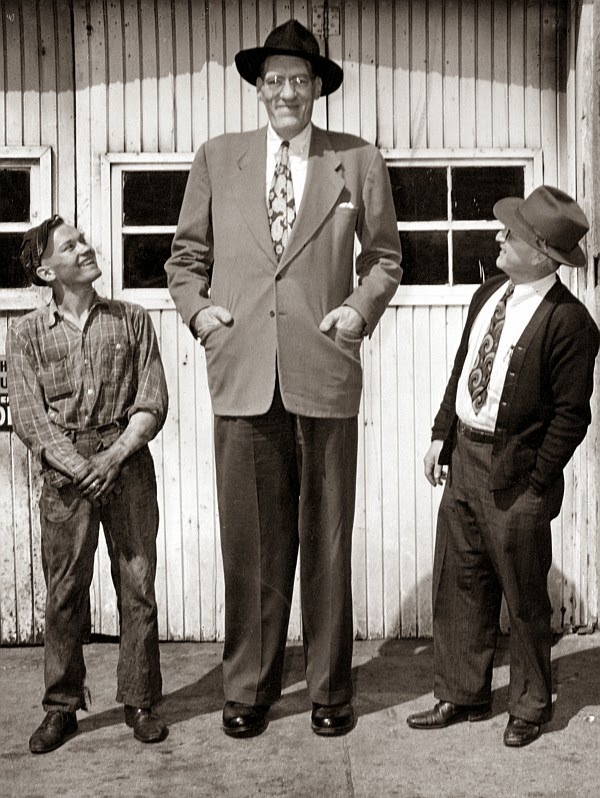 Moving from one side show to another and often pitched as “The World’s Tallest Man,” Thompson eventually wound up with the Barnes Circus in Los Angeles where his proximity to Hollywood put him in motion pictures. In 1932 Cliff received screen credits in a short film, “Seal Skins,” with Zasu Pitts and a monkey named Jocko. In 1934 he appeared in feature length pictures, including “Twentieth Century,” with John Barrymore and Carole Lombard and “Murder in the Private Car” with Charles Ruggles and Una Merkel. These were largely “walk on” roles designed to startle the audience. 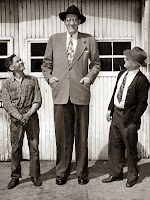 Still a young man, Cliff made personal appearances and traveled with the Ringling Brothers organization and later with the Cole Brothers Circus. 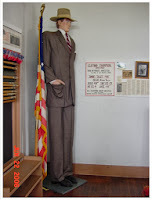 There he met and fell in love with Mary Mars, a 5 foot, 6 inch dancer from Milwaukee who had left her career as a night club performer to join Cole Brothers in 1938. Seeking a more stable lifestyle once they were married, they moved to Milwaukee where Thompson sought to capitalize on his fame and size as a product spokesman for a Ford dealer and milk producers. That is when Blatz beer came into his life. When the State Fair concluded, Thompson went to the Blatz head offices in Milwaukee where he convinced the management to hire him as spokesman for their products. As shown here by an early Blatz ad, the company had frequently featured robust figures in their merchandising. Buckeye Beer in Toledo was featuring a dwarf and midgets in its merchandising. Why not a giant? The financial security of the job allowed Cliff and Mary to wed. At the time he was 34 years old and she was 32. Over the next few years on behalf of Blatz, the couple traveled by automobile all over the United States, logging approximately 40,000 miles annually. 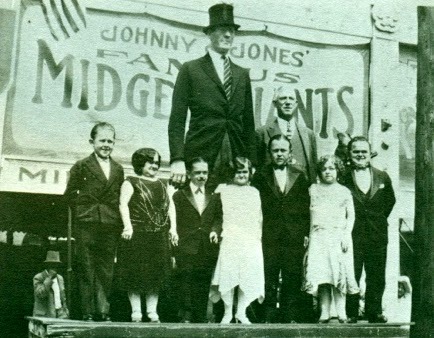 At state fairs and other events, Thompson would walk through the crowds having his photograph taken, as shown here, and handing out cards with his picture on them, some with his father, some with Mary. 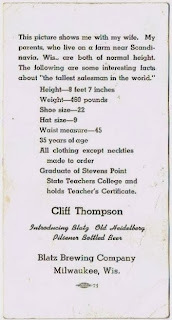 The back of the card provided vital statistics on “the tallest salesman in the world.” It noted that all his clothing except neckties had to be made to order. His automobile also had to be modified. Thompson drove a 1935 Ford sedan which, in effect, he operated from the back seat. of his own next door to the City Brewery. Braun died later that year and Blatz soon married his widow, thereby uniting the City Brewery and his own operation. At the time of the marriage, the combined breweries produced only 350 barrels per year. However, by 1880 total annual production reached 125,000 barrels. 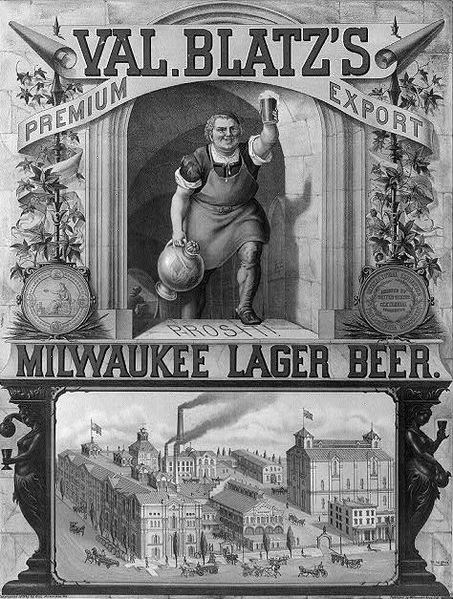 The brewery's growth continued, and in 1884 Blatz ranked as the third-largest beer producer in Milwaukee. Blatz was the first Milwaukee brewer to market beer nationally. He set up distribution centers in Chicago, New York, Boston, New Orleans, Memphis, Charleston, and Savannah. He also was the first of the city’s brewers to include a bottling plant within his operation. 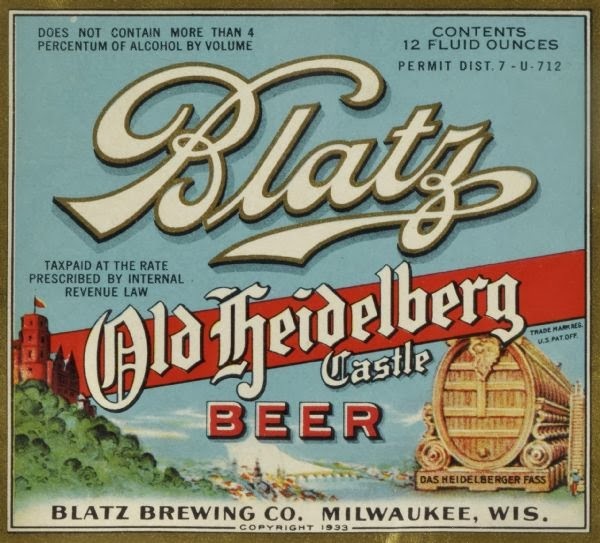 In 1890 Blatz sold his brewery to a group of London investors, who continued to operate the plant until Prohibition. 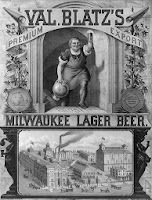 With Repeal, the owners made Old Heidelberg, a German style lager their flagship. 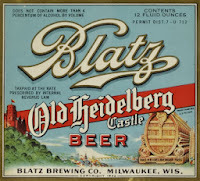 When it again became legal once again to make and sell beer, that Blatz brand was the first to be crated at City Hall in Milwaukee and sent to President Roosevelt. Old Heidelberg was the beer Thompson was hawking nationwide to a customer base thirsty after 14 years of Prohibition. Eventually tiring of his life on the road for Blatz, Thompson in 1942 enrolled in the law school at Marquette University in Milwaukee. He was still enough of a celebrity to have the event noted in Billboard Magazine. Several classrooms had to be altered to accommodate his size. After graduation he practiced law for a time in Wisconsin, ultimately moving to work in Portland, Oregon. 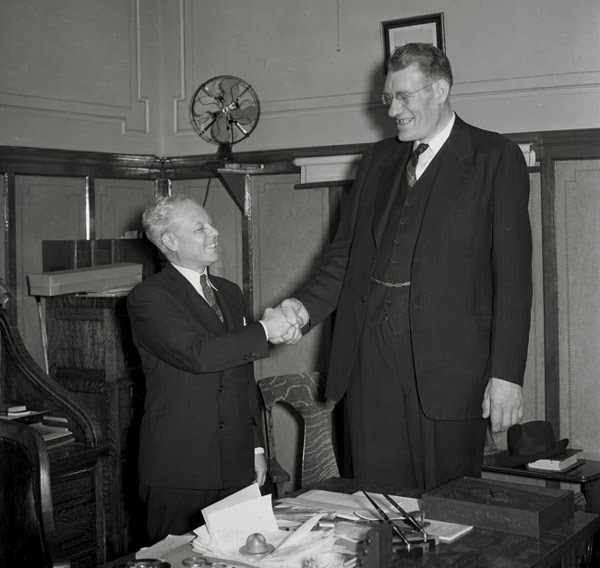 Hollywood made him the subject of a short film called “The Paul Bunyan of the Legal Profession.” A photo shows him as a lawyer towering over an associate. 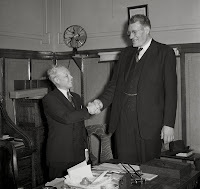 For someone as large as Thompson, he lived a fairly long and fulfilling life. While in his early 50’s, however, he developed a number of medical problems and died on October 15, 1955, four days short of his 51st birthday. The cause was recorded as a combination of gallstones and what may have been cancer of the liver. 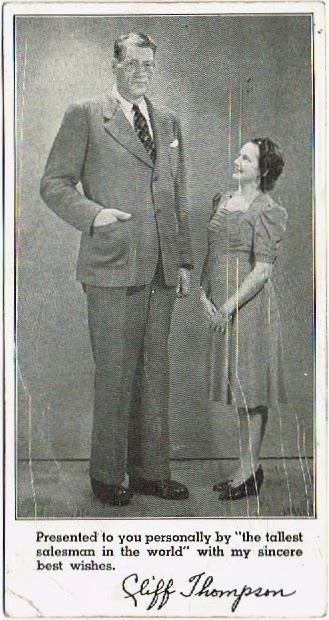 At the time of his death he weighed 460 pounds.